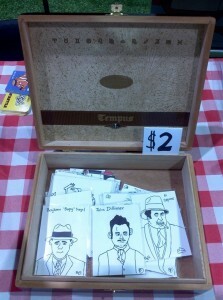 This past weekend, I attended my first real comic con as an artist, rather than just an attendee. I’ve attended a couple of library comic shows earlier this year in preparation, but this weekend was going to be the real test. Being as it was my first show, I wanted to try my best to engage the attendees and not just be another artist behind the table with my head down drawing and disengaged. And that was accomplished! Overall, the show was a success for me. 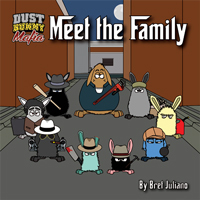 Being so close to my brand and selling a product that is exactly what the name suggests, a mafia of dust bunnies, I was able to easily and successfully pitch my comic to the attendees that stopped to listen…the hard part was the lack of attendees and the placement. The Chicago Land Comic Con was organized by Mighty Con and this was the first year that this particular convention was held in McCook, IL. Mighty Con does about a dozen shows a year in the greater Chicago area, from Wheaton to Milwaukee, and down to St. Louis. I figured that they would have a decent amount of followers that, being that this show was closer to the Chicago city limits, they’d be able to draw a decent sized crowd, unfortunately this was not the case. There were two things that pushed people away I believe, first, it was the first year that this show was in this venue. I’d imagine its tough to break into a new venue when you’re not in the same geographic area unless you’re a well known show/organizer. Second, in the days leading up to the show, the Chicago area was hit with some pretty heavy rainfall which caused flash flooding, reports of basements flooding were pretty widespread throughout the area, so I’m certain that also played into the lack of people (both vendors and attendees). 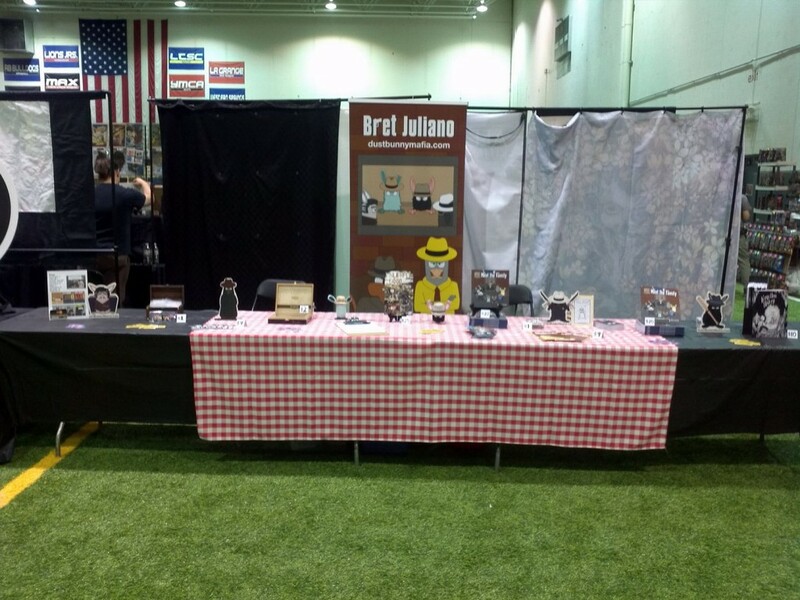 Another hard part of the show was the placement of my table. I was placed in the back of the artist alley, closer to the bigger named arists, but there was a big open space, probably a good 60-70 feet between my table and the one across from me. Same thing with the tables along the walls. This giant square of dead space allowed attendees to meander into the middle, do a quick scan and then they had multiple exit points which they would often walk away and miss a dozen or so tables. Though, one of the high points of the missing vendors was that at about mid day on Saturday, I was offered to take over the table next to me since that vendor never showed. So I happily spread out my setup over two tables thanks to some help from my friend Rafael Nieves. I think that having the extra table certainly helped me out since I was able to now catch people walking down the side aisle that I would’ve missed if the other vendor had shown up. Overall, it was a good show for me, albeit very slow, I was able to make table cost and grow my email newsletter list, which was the plan. I sold a few things and hopefully extended my brand’s reach a bit further in the Chicago market. 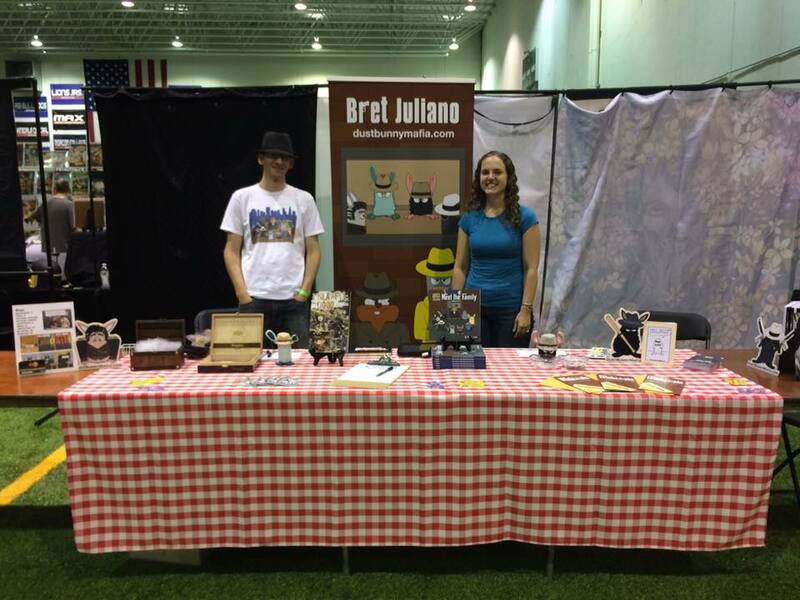 I also met a fair number of other artists at this event that I hope to network with in the future and, lastly, I was also able to introduce my wife a bit more to the world of comics. So all those things combined made this a good show for me. I’m interested to see how the other shows are by Mighty Con, so I’ll be looking at possibly doing a few shows with them around the area before I really determine whether or not these are good investments for me.